Wow! 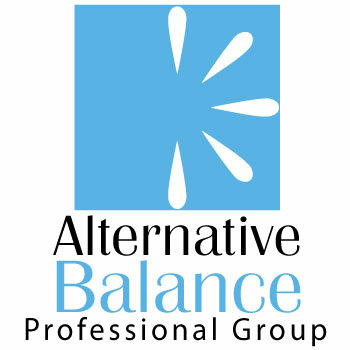 I have to say yesterday was more than your typical day at Alternative Balance. We found ourselves knee deep in more ways than one. Well, I know we all really want to serve and take care of our members, but yesterday was a great reminder of how caught up in it we can get! Unknown to many, we found ourselves without internet for most of the day, which is not the easiest thing for an online service company. But we reached thousands of people just the same and even helped dozens more by phone. Honestly, I think we were all pretty excited to accept the challenge without the internet. By the end of our day we had some pretty happy guests and members, and we were off to be with our families. So the day ended and I saw my team leave only to turn around, come back in the office and say they could not get out! Apparently we were so excited and knee deep in assisting our members that we did not realize during the whole time a flood warning was in effect and we were slowly getting trapped in. So we did what any group in service does...we started walking and investigating the area looking how we could help and then we found ourselves literally knee deep in flood waters! Don't worry, our team knows all about risk, of course, it’s our business, so we kept a safe distance as we watched the road just washing away. Sure, being the owner and madly in love with my work I have to say the idea of working with my team all night really was making me excited but more so were my thoughts that first and foremost I have to get these awesome team members home safe to their families. Now knee deep in water, we assisted and watched the water rescue team, helped out some neighbors, re-evaluated our own situation and began to move trees to make a new drive out! Yes I said move trees! I think by the end of this day I was ready to move mountains! Now let’s be clear, I could not have done any of this alone and I cannot be more proud of the AB team and surrounding community as we continue to clean up. The team was even here early this morning ready to be knee deep in serving health, beauty and wellness professionals once more! When your job is about helping others it’s so easy to get caught up in it because you love it. As always we will continue to make sure our team is safe to serve yours and even pay more attention to those storm warnings! Do you have a story about how you got “knee deep” in something because you loved it? Share it with us below today!